This page is intended to answer common questions related to vocational qualifications and the Regulated Qualifications Framework (RQF). It also acts as a glossary to define common terms you may encounter in your search for a qualification, clarifying what they mean and where you are likely to come across them. If you have more specific questions, please e-mail us at info@findcourses.co.uk. Accreditation is the process through which an awarding body has its qualifications officially recognised by the relevant regulatory body. In England, the process is governed by Ofqual (Office of Qualifications and Examinations Regulation), which regulates all qualifications, examinations and assessments, alongside vocational qualifications in both England and Northern Ireland. Ofqual evaluates qualifications according to a set of predetermined standards and decides whether or not they meet the necessary requirements. Qualifications are accredited differently in Wales and Scotland. Accreditation effectively means that the qualifications are regulated, which is intended to preserve and testify to a certain level of quality that non-accredited qualifications may not reach. A full list of accredited qualifications (and awarding bodies) can be found on the Ofqual website. An awarding body develops learning units and qualifications according to the criteria set out by the regulator (Ofqual). Some examples of well-known awarding bodies include City & Guilds, NCFE and Pearson Edexcel, but the register of recognised awarding bodies also includes a range of smaller organisations that only offer a few qualifications. 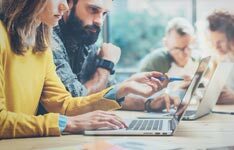 Training providers and colleges will in turn apply for centre and qualification approval from the awarding body, which qualifies them to deliver training for the qualification in question. How should I choose an awarding body? Your choice of awarding body will depend on a number of different factors, the most important of which is probably the industry or subject you are keen to study. Not all awarding bodies offer qualifications in all industries, so the first step is to find out which ones offer programmes in your area of interest. As different bodies will also develop different course units, it's also worth going into more depth and exploring the different modules they offer to explore your options and decide which you think would be most beneficial for your needs. Alternatively you can take the training provider as a starting point - if you know that you would like to train with a particular company (for reasons of cost, location, delivery methods or similar), then you can see which qualifications they are accredited to deliver. Generally speaking, all bodies included in the Ofqual register have been approved and thus meet predetermined quality standards, so the main factors affecting your decision will be practical issues such as the above. What is an apprenticeship and who should take one? An apprenticeship is a particular type of vocational education that combines study with on-the-job training in a real workplace. 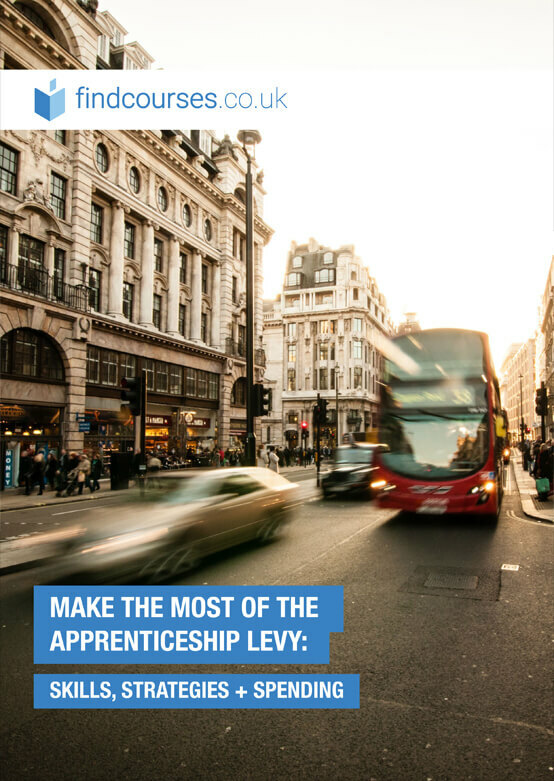 Apprenticeships are available for people aged 16 and over, at different career levels and across all industries. Read more about apprenticeships. BTEC stands for British Technology Education Council (BTEC) and is a vocational qualification formerly offered under the National Qualification Framework (NQF). Though they have mostly been replaced with Awards, Certificates & Diplomas, many of the new qualifications retain the well-known BTEC acronym in their name. City & Guilds is one of the biggest and best-known awarding bodies in the UK, operating across a number of different sectors. Their qualifications are delivered by over 10,000 training providers and include RQF Awards, Certificates and Diplomas, as well as SVQs, Functional Skills, Apprenticeships and other vocational programmes. The Institute of Leadership (ILM) is the professional arm of City & Guilds, offering leadership & management qualifications at different levels. Scotland, for example, use the Scottish Credit and Qualifications Framework (SCQF) while Wales accredits its qualifications against the RQF as well as its own Credit and Qualifications Framework for Wales (CQFW). Other European countries also have their own frameworks. Luckily, the introduction of the European Qualifications Framework (EQF) means that EU countries have related their national qualifications levels to a European standard, which makes comparison much easier. You can compare qualifications on the European Commission website. What is meant by competence-based qualification? Competence refers to gaining knowledge, skills and abilities at a level that allows you to perform in a relevant work environment. Hence, competence-based qualifications are learning programmes that provide you with the competence you need to do a certain job. Essentially, it is another way of saying "vocational", i.e. related to an occupation or profession. They are generally pitted against qualifications that provide academic knowledge, which tends to be theoretical rather than applied. What do employers think of vocational qualifications? While learners and parents have traditionally thought more highly of academic rather than vocational qualifications - employers have generally viewed them positively. This is because they have always been heavily involved in their development via their industry's Sector Skills Council (SSC), which is responsible for determining the National Occupational Standards (NOS) on which a large number of vocational qualifications are based. NOS determine the knowledge and skills needed to successfully undertake a particular task or professional role to a recognised level of competence. This means that any qualification using them as a basis reassures employers that those holding that qualification will be qualified to a certain level and, more importantly, able to perform a given job adequately. EQF stands for European Qualifications Framework and is an EU-wide system designed to help comparison between the qualifications offered in different EU countries. How does the further education system compare to the RQF? The Further Education (FE) system is not governed by the Ofqual and the RQF but rather Quality Assurance Agency (QAA) and the the Framework for Higher Educations Qualifications (FHEQ). Yes, the government offers various forms of funding to those completing vocational qualifications. However, you need to meet certain conditions in order for this to be available to you, depending on the type of funding you are requesting. Advanced Learning Loans - loans for learners aged 19 or above to pay fees for courses at Levels 3, 4, 5 and 6, at an approved college or training provider in England. There is no credit check, the loan doesn't depend on household income and doesn't have to be paid back until you are earning over £21,000 a year. Professional and Career Development Loans (PCDL) - commercial bank loans between £300 and £10,000 that need to be paid back (at a reduced interest rate). The government pays interest while you’re studying. Visit the National Careers Service website for more information on public funding and eligibility criteria. How is the government involved in the RQF? The RQF is governed by Ofqual - a regulating body that is non-ministerial, but is still a government department. Only qualifications that are approved by Ofqual and accredited under the RQF are eligible for government funding. What are guided learning hours? How many levels are there in the RQF? There are 8 levels in the RQF (plus Entry Level 1-3). These are not to be confused with the size of the qualification, which is determined by the Total Qualification Time (TQT) – an estimate of how many hours it takes to study for the qualification. The size determines how long the qualification will take, while the level determines the level of demand required. How can I know which level is right for me? Ultimately, however, it is the training provider who has the last say in terms of whether you are accepted onto a qualification programme or not. Consequently, the easiest way to find out whether a certain level is suitable for you is to contact the training provider directly. A National Vocational Qualification (NVQ) was a popular form of work-based qualification under the NQF system, which was replaced by the QCF in 2010. The QCF was replaced by the RQF in 2015. Not under the RQF framework. Though a few may still be accredited under the old NQF system, by now virtually all will have been translated into Awards, Certificates or Diplomas. However, as NVQs are still widely recognised by employers and individuals alike, terms and aspects surrounding them have been inherited from the NQF. Some RQF qualifications may still be described as NVQs where they are based on recognised occupational standards. Awarding bodies may still adhere to the NVQ Code of Practice, but this does not form part of the RQF requirements. Ofqual is the body responsible for regulating all qualifications, examinations and assessments in England, alongside vocational qualifications in both England and Northern Ireland. What is the RQF and why was it introduced? The Regulated Qualifications Framework (RQF) sets the levels against which general and vocational qualifications can be recognised in England, as well as vocational qualifications in Northern Ireland. It replaced the Qualifications and Credit Framework (QCF) in 2015. The RQF was introduced to make it easier to compare qualifications in terms of size and demand level. Regulator is another way of saying "regulating body". In England, it refers to Ofqual, which is a non-ministerial department responsible for accrediting and maintaining the national standards of qualifications, exams and assessments (as well as vocational qualifications in Northern Ireland). The role of Ofqual is played by DCELLS (Department for Children, Education, Lifelong Learning and Skills) in Wales and the SQA (Scottish Qualifications Authority) in Scotland. Does Scotland use the RQF? Scotland uses the Scottish Credit and Qualifications Framework (SCQF), which is comparable to but entirely separate from the RQF. Qualifications can however easily be compared between the two systems. What subjects can I get a qualification in? More or less anything you can think of, from management to balloon artistry. Not all awarding bodies offer the same qualifications, but you can find a full list of those currently accredited by Ofqual in their Register of Regulated Qualifications. SVQ stands for Scottish Vocational Qualification. It is the Scottish equivalent of England's former National Vocational Qualification (NVQ). Vocational means related to a profession - hence, vocational qualifications are designed to deliver the knowledge and skills needed for a person to do a certain job effectively. What is meant by work-based qualification? Under the RQF system, there are two main types of qualifications: knowledge-based and competence/work-based. The main difference lies in the assessment methods used, with the former requiring learners to produce a number of written assignments, which are then submitted and marked, and the latter requiring at least some degree of assessment in a real work environment.